Beloved Charlie Collins, a long-time guitar player of the Grand Ole Opry house band and the last remaining member of Roy Accuff's original Smoky Mountain Boys, died on January 12. Collins played with Roy Accuff from 1966 until Acuff's death in 1992. Later on he regularly performed on the Grand Ole Opry in a duo with Brother Oswald, as a musician of the Grand Oley Opry Square Dancers and as a solo artist as well. The always-smiling Charlie was a beloved member of the Opry family and country fans could see perform on the Opry stage for full 45 years. Collins, who mastered guitar, mandolin and fiddle also recorded with Mark O'Connor, Sam Bush and Jim & Jesse. Charlie Collins died following a heart attack at the age of 78. 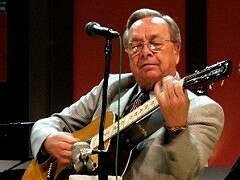 He played the Grand Ole Opry for the last time on Saturday night January 8. 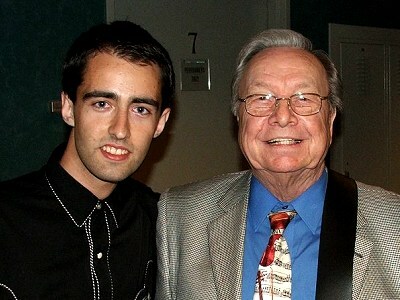 During the next show on the Grand Ole Opry, Opry legend George Hamilton IV dedicated Charlie Collins the song "Life's Railway To Heaven", which Collins often played with Roy Accuff on the very same stage. Roy Acuff & Smoky Mountain Boys - "Wabash Cannonball"